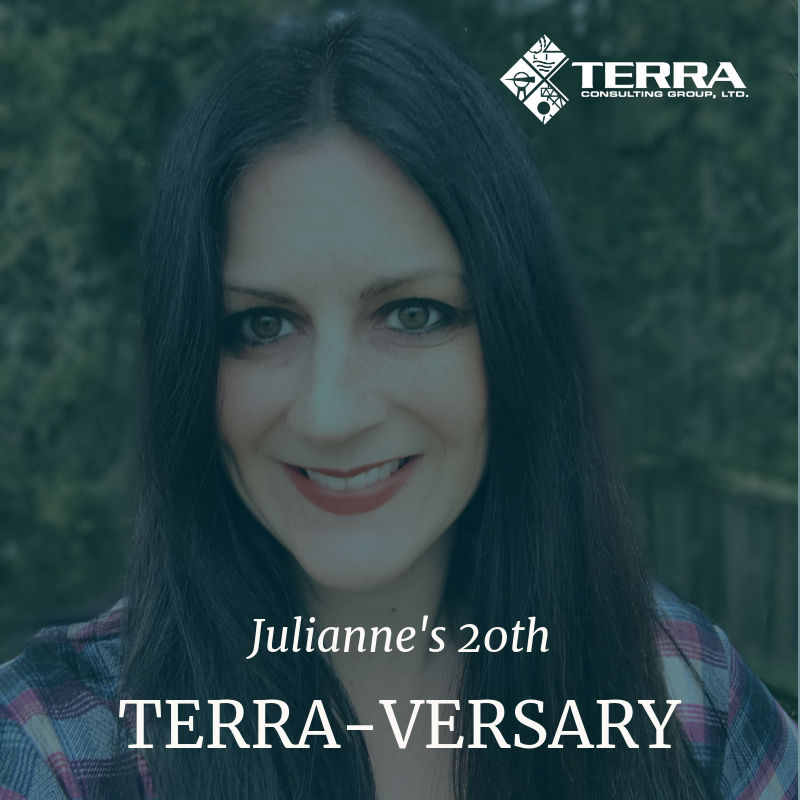 Julianne's 20th Terra-versary — Terra Consulting Group, LTD.
our very own Julianne Ruud’s 20th Terra anniversary! Julianne started her journey with Terra in March 1999 as the company’s first non-technical hire. Her initial duties included answering phones, filing, and helping with billing, but because of her drive and initiative, her responsibilities quickly grew. Now, Julianne manages office operations, invoices, travel arrangements, and corporate contracts—just to name a few. She also acts as our clients’ personal troubleshooter, expertly handling communications between clients and our staff. Julianne is one of the most loyal employees in Terra’s history. She goes above and beyond what is asked of her and truly exemplifies “owner mentality” when it comes to caring about the company, its employees, and its success. Julianne lives in Lombard, IL with her son, Drake, and her favorite holiday is Halloween—she loves decorating her desk to fit the occasion. Please join us in saying thank you and congrats to Julianne!